The Amazon Fire Phone will launch in the UK next Tuesday, the handset will be available to buy direct from Amazon, and it will be sold exclusively with mobile carrier O2 in the UK. O2 will be offering the Amazon Fire Phone on contract with a range of contract options, the handset will also be available on Pay as You Go with the carrier for a one off fee of £399. As a reminder, the Amazon Fire Phone comes with a 4.7 inch High Definition display that has a resolution of 1280 x 720 pixels, the device is powered by a quad core Qualcomm Snapdragon 800 processor with a clock speed of 2.2GHz. 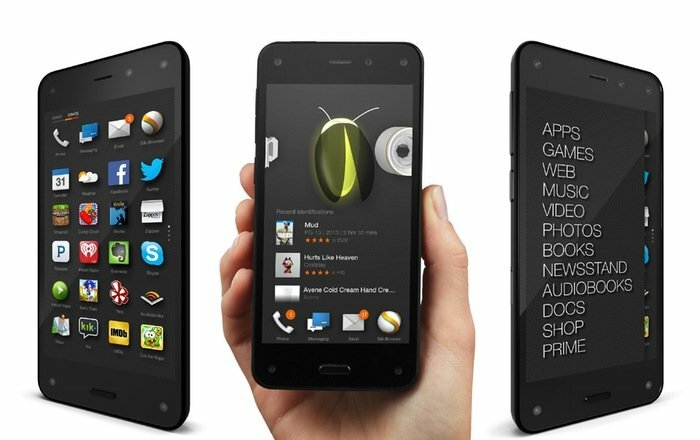 Other specifications on the Amazon Fire Phone include 2GB of RAM and 32GB or 64GB of included storage, the device also features a 2.1 megapixel front camera and a 13 megapixel rear camera. The handset comes with 4G LTE, WiFi, Bluetooth, and Amazon’s Fire OS 3.6 which is based on Google’s Android OS, it will be interesting to see if the device becomes popular in the UK.